Venom, murdering a bunch of sports nerds. Sony’s upcoming Venom solo movie has always been something of a conundrum given that, you know, Spider-Man’s nowhere to be seen. With the right story, that wouldn’t biggest of problems, but what is a problem is this confusing new ad in which Tom Hardy suits up and kills a bunch of innocent sports nerds. In the brief, distressing ad, former cornerback Charles Woodson and wide receiver Randy Moss are on the hunt for a new, all-purpose Sports™ mascot and, for reasons that remain extremely unclear, Eddie Brock is the top choice. Instead of doing a jazzy little dance though, Eddie Venoms out and proceeds to terrify and presumably kill most of the people at his audition. It’s difficult to suss out just what the takeaway here is meant to be. 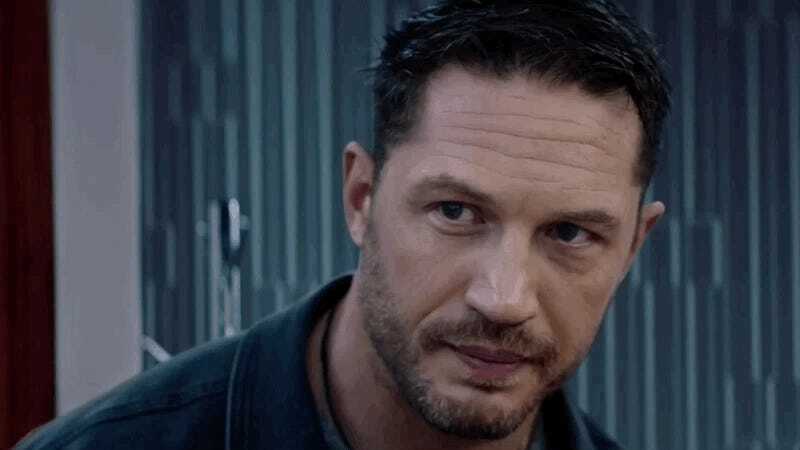 Venom’s meant to be the lethal hero of his film, but, well, it’s difficult to cheer for someone who revels in eating people. Perhaps Sony’s just trying to keep everyone confused and full of mixed emotions until Venom hits theaters October 5? Correction: an earlier version of this post referred to Charles Woodson as a quarterback when in reality, he was a cornerback. We regret the error and apologize to any sports nerds who were scandalized by it.